Oren Steinberg – blogHow to build strong business partnerships? BizDev professionals are often tasked with the role of building and growing partnerships. But, just as the role of BizDev is often ambiguous, so is the task of partnering. A nice starting point is to define the Role of Business Development as Filtering and Building partnerships that further the organization towards its goals. Filtering is needed because building a business is all about focus. There are plenty of partnership opportunities out there. Knowing which ones to pursue, is the first skill to use. The fact that a potential partner is a key player in your field does not necessarily mean it’s a good partnership opportunity. Sometimes it’s better to avoid certain partnerships, for example, one that may lead to exposing certain capabilities to a competitor, or one that may take up a lot of managerial attention without delivering value. So what should guide the BizDev professional during partnerships filtering? The answer should be clear: invest your time and energy in pursuing partnerships that best serve the goals of your business. Filtering partnerships is a phase that must be managed top-down. You first need to plan what type of partnerships your business needs, and only then you can engage the market and review the partnerships’ opportunities. At the base of every strong business partnership, there is a strong personal relationship. As I mentioned in eDavid and Goliath Inc. – everything is personal AND it’s just business. The partnerships mountain can be climbed from either the personal or the business side, but you can’t stand firm on its top unless both pillars are sound. Personal relationships are nurtured through open communication lines – build trust by playing it straight. It takes time and both sides need to learn to trust each other, so think about how your company’s actions are perceived by the other party, especially during the earlier stages of partnerships building. Business relationships are established when both parties have something to gain. A win-win approach can be achieved when partnerships are mutually beneficial. So think about your partner’s goals when you negotiate the terms of the partnerships. Every business is built around selling to and servicing customers (whether B2C, B2B or any other creative go-to-market). When establishing partnerships, you need to ask yourself how will the new partnership affect your customers? How will they perceive it? Some partnerships can add perceived credibility and prestige, while others add value (e.g. professional services, value-added-services, support…). But that’s only half of the picture, the 2nd half are your partner’s customers, and how will the new partnership affect them. 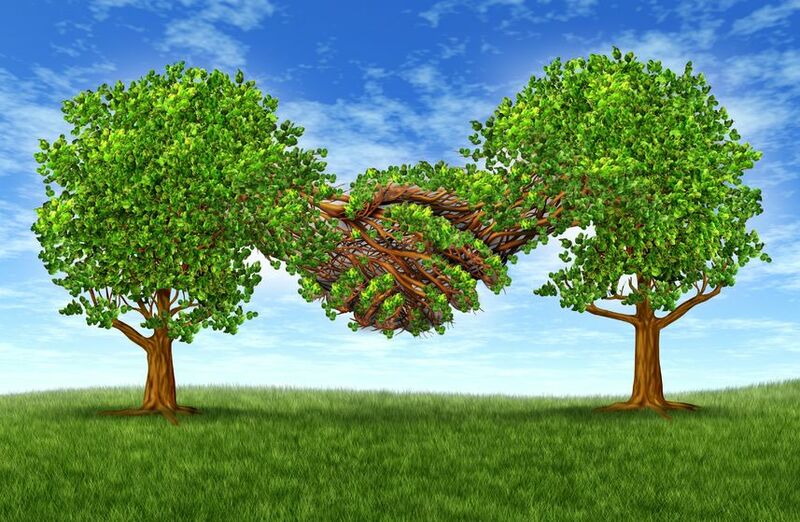 Often partnerships are made to gain access to markets – a sales driven partnership. In which case you need ask yourself how will the delivery work? There is nothing worse than starting to point fingers the day after the deal is made. It’s wise to plan in advance how to keep your joint customer happy while not throwing your partner under the bus. Partnerships often start by BizDev being asked to close some gaps. Things that may be non-core for the company but needed for an overall solution. It can be time to market that can be achieved faster with partnerships, only to be developed later. It can be a simple way to conduct MVP or RAT in order to test value and growth assumptions, that can justify a bigger investment to develop the capabilities internally. It helps to be well versed about internal capabilities and the role the partnerships play vis-à-vis capabilities build up. Partnerships are very different when they are around non-core activities compared to ones that are on your company’s roadmap. Naturally, BizDev may have a longer term view on company’s goals. While sales are, and should be, focused on shorter term deals, BizDev professionals can plan longer moves. Partnerships can be a means to a longer term end. A way for the company to place itself on a certain strategic path, before making the Full Monty investment or turning the ship completely. But partnerships can also be the end goal itself when thinking about M&A. That’s why it helps to articulate what role the partnership plays in the company’s strategy before filtering candidates or defining scope of relationship. Simply put: who does what? Start by defining who owns the customers during sales and support cycles, but plan through to expenses, investment, reputation, IP, liability, etc. Good partnerships are balanced ones, even between organizations of different sizes. While you may instinctly shoot for full control and zero risk, you may come appreciate that good partnerships thrive when both partners have some leverage over each other – this mutual carrot and stick acts as good checks and balances. By giving your partner power over some decisions you are not only building trust, but it may also come in handy to overcome internal politics. I recall when it was actually easier to overcome an internal hurdle by getting the external partner to be the one to raise a certain request. When business goals are aligned, and your organization has some impediments, your partner can sometimes be your closest ally. One that has less fear of change than a more conservative co-manager. Pay careful attention to structuring a well-balanced partnership model. And there is no better to do that, than with a formal partnerships’ agreement. They say that fences make good neighbors. This is even more true in business partnerships. Written agreements, help set mutual expectations, and communicate them to the rest of the organization. Articulate what you each care about – goals, concerns, timelines etc. It can help to start with high level bullet points and work your way through to legal wording only after most of the key issues are agreed upon and both sides have enough to gain. Lawyers are there to protect and help you plan towards a worst case scenario and how to break up the partnership. This is an important part of the planning stage, but also one that’s best to loop-in only after there is a critical mass of positive energy, trust and mutual benefits to be made. While in most times, it’s better to think through and plan for all scenarios in advance, this is not always practical. Also, sometimes keeping things vague serves a valid purpose. It can allow certain companies and organizations to grow into the void left vague, and keep certain people on their toes. Try to think through your agreement blind spots, intentional or unavoidable, and have a risk mitigation plan. Often the BizDev team is predominantly scoping for acquisition targets or exits strategy (depending on your point of view…). Looking for M&A opportunities can lead to partnerships as an interim phase – a real-world due diligence. In this case, the M&A may be the elephant in the agreement room – both parties may think about it and plan for it, but it may not be reflected in the agreement. It doesn’t matter if you are on the potentially acquiring or the acquired side, it is always good practice to think about the M&A scenario. It can help define which partnerships to pursue, how to define the scope and agreement. Even if M&A is not a desired outcome, articulating that will help contextualize the relationship. To recap, partnerships are often the main goal of BizDev leaders. Building strong and productive business partnerships is not a trivial task. It starts by planning and filtering which partners you want to focus on. It then requires establishing and nurturing both personal and organizational relationships. Good partnerships need address customers actual or perceived needs. They often act as an extension of your company, completing internal capabilities. When building good partnerships, it helps to define the scope of the relationship and put that in writing. And remember whether the overarching goal is a potential M&A or not.